Sasquatch sighting has tongues wagging in the Yukon village of Teslin. Two people say they saw the fabled bushman, also known as Bigfoot, cross the highway at the construction zone near the Teslin airport. Marion Sheldon and Gus Jules were driving down the side of the highway on an all-terrain vehicle on Saturday evening. They reported the sighting to Conservation Officer Dave Bakica. "They claim they thought it was a person standing beside the road, but couldn't tell from all the dust," said Bakica. "By the time they turned around to look back they said this person was completely covered in hair and took just two strides to get across the whole Alaska highway." Bakica said the pair told him that by the time the got back to the location, the person or animal or thing had disappeared into the bush. Teslin is 160 kilometres south of Whitehorse. The conservation officer said he searched the area for tracks but they may have been wiped out by Saturday evening's rain. Both witnesses appeared very shaken by the sighting. Sheldon and Jules say they don't want to talk about the experience until they have consulted with local Teslin Tlingit elders. For thousands of years sightings of the elusive, bipedal ape-man have been reported, throughout North America's Pacific northwest and as far away as China. The creature has long featured in First Nation oral traditions. Bigfoot believers, a small group of dedicated scientists among them, say the primate is likely the offspring of an ape from Asia that wandered to North America during the Ice Age. Some believe there are at least 2,000 ape people walking upright in North America's woods today. An adult male is estimated to stand at least 2.4 metres (8 feet) tall and weigh 360 kilograms or 800 pounds. The hairy creatures are described as shy and nocturnal. The Bigfoot Field Researchers Organization web site reports a sighting in south-central British Columbia, near Kamloops on May 17. A resident said that while driving he saw what he believed to be a father and son Sasquatch near the side of the road, getting a drink of water. My family & I were vacationing in Eureka. We went on a hike in Fern Canyon. The place was incredible and I started taking pictures of the area. When we got home, I downloaded the pictures and my wife noticed something in the background... You tell me what this is! CLANTON - Many things have changed in Chilton County. Things have come and gone, including what could be Chilton County's first and only documented 'bigfoot' sighting. It's been almost 25-years since the original report was filed in the fall of 1960 but that hasn't stopped Bigfoot spotters and researchers from around the country as citing the events around Walnut Creek as a legitimate and marvelous occurrence. "There's a Southern version of bigfoot that is much like a chimpanzee," said Bigfoot researcher and Professor at the University of Southern Maine, Loren Coleman. "It runs around in the bottom lands and is much more connected to the creeks and swampy areas." Two years ago, Coleman penned a book about Bigfoot and has devoted a portion of it to the uniqueness of the Clanton citing. "At a time where people in the 50s and 60s were talking about Bigfoot being just a giant that looked like a human, this was extremely important because it shows they were more ape like creatures in the south." Coleman said the prints left behind at the Clanton scene proved the creature was more ape than man. "It's a very general kind of creature that's much different than the Pacific Northwest Bigfoot that's 8-to 9-feet tall and stands upright." Also, the southern version is often referred to as a booger, a swamp ape or a skunk ape and only stands around 4-feet tall. According to reports, including those of witness Reverend E.C. Hand of the Refuge Baptist Church, the creature was seen along Highway 31 where it crosses Interstate 65 - just south of town. A few more were filed from two-miles west. The report said, "Large and small tracks were found as if there were at least two individual animals." Then Sheriff T.J. Lockhart and Deputy James Earl Johnson investigated the scene and according to the report, described the prints left behind as "the strangest things I've ever seen." Lockhart and Johnson also took a concrete mold of the prints. The prints were described as "about the size of a person's foot but looking more like a hand." The cast was on display at the courthouse for many years but in August 2002 the Sheriff's Department discarded it. "That's why the cast was so unique is that is actually proves that the southern 'bigfoot' was much more like a chimpanzee than a human." Coleman said one theory is that the chimpanzees were brought over during the African slave trade and allowed to run wild. He added there have been reports filed about similar creatures for about 250 years across the south. However, there have been no other documented sightings in Chilton County since 1960.
by Christopher L. Murphy in conjunction with René Dahinden, Progressive Research. 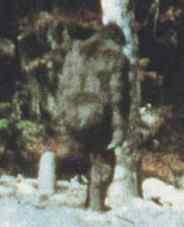 The Patterson-Gimlin film is a movie of a Bigfoot creature taken by Roger Patterson and Robert Gimlin in 1967. Both men lived near Yakima, Washington State. Patterson had been involved in the search for the elusive Bigfoot or Sasquatch for many years and had written a book on the subject entitled: "DO ABOMINABLE SNOWMEN OF AMERICA REALLY EXIST?" In this book, he calls attention to the significant amount of evidence that supports the creature's existence. Gimlin, a highly experienced outdoorsman, was a close friend of Patterson and agreed to accompany him on a wilderness expedition to search for the creature. Equipped with a 16mm hand-held Kodak movie camera, the two searchers set out on horseback in October, 1967 and explored the wilderness regions in northern California. They concentrated their search in the area near Bluff Creek which is in the Six Rivers National Forest. Bluff Creek itself, is about 38 air miles south of the California/Oregon border and 18 air miles inland from the Pacific Ocean. This region was selected because Bigfoot footprints had been found there in prior years. A road was constructed into Bluff Creek in 1957, opening the area, which up to that time had been remote wilderness. Road construction workers noticed large human-like footprints in the soft soil which were reported to the press by Jerry Crew in October, 1958. 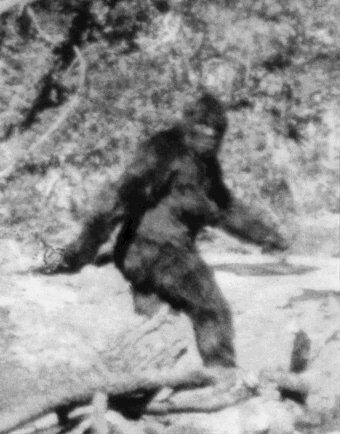 The word "Bigfoot" was used in the press release and has now become a common name for the creature. Subsequent investigations at that time revealed tracks of six different sizes, indicating that a number of creatures frequented the area. Footprint sizes ranged from 12.25 inches to 17 inches long. 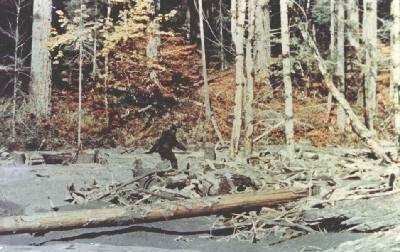 In the early afternoon of October 20, 1967 Patterson and Gimlin spotted a female Bigfoot down on the creek gravel sandbar. Patterson's horse reared in alarm at the sight of the creature, bringing both horse and rider to the ground, Patterson pinned below. Being an experienced horseman, he quickly disengaged himself and grabbed his camera. While running toward the creature, Patterson took 24 feet of color film footage. During this time, the creature quickly but calmly walked away across the sandbar into the woods. 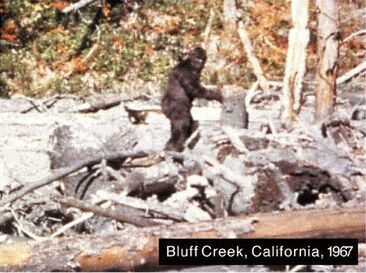 In the meantime, Gimlin observed the whole scene, rifle in hand, in case his friend was attacked by the creature. The men had previously agreed that under no circumstances would they shoot a Bigfoot unless in self-protection. The creature, estimated to be 7 feet 3.5 inches in height and weighing 700 pounds, left footprints 14.5 inches long by 6 inches wide. In that part of Bluff Creek, there is a sandy clay soil with a blue-gray tinge. This type of soil holds footprints remarkably well for a long period of time. Note: There have been claims this is a hoax. I believe it is a real live hairy hominid. This is the best video evidence I have ever seen of the elusive Sasquatch of North America. It is also the only mpg file I have been able to find and I've been looking for a long time. This .mpg video isn't as clear as the original 16mm film and it's not as long. In the original you can clearly see the muscles under the fur moving and it appears to be a female. Or you can download it through the link below where I found it. Some people have the ability to communicate with what we call the BigFoot. Yes, they are elusive creatures knowing full well that if the human could capture One that one would be examined and it would die. It has a family and is very simiilar to the Wolf in that BigFoot, like the Wolf, can communicate with Its own kind even when separated by many miles. They have the ability, as Wolves in what we call Telepathy. The human thoughts seem very coarse to the BigFoot, and yet they are very gentle creatures. I sense them living in the vast forest areas of Maine. However, no one has, at this writing to my knowledge seen this entity. There are better off left alone. They are extremely sensitive to vibrations much like a Rattle Snake, but not to that level, but close. Many Native "Indians" know about the BigFoot, but they say little knowing what the White Man would do. LAKELAND -- Urban legends are supposed to be legends and that's all. But if you ask Jennifer Ward about the Florida skunk ape, she will tell you it stepped out of the mists of myth and into reality. "I never thought anything like that was out there before," Ward, 30, said Friday. "But I know there is now." Ward's encounter with the hairy creature came in August, about a week after Hurricane Charley, along a rural stretch of Moore Road as she was driving home from a friend's house. Her daughters were asleep in the back seat and it was approaching dusk. "I noticed something in the ditch. I looked over, and I guess it noticed me. It rose up," she said explaining that the animal had been crouching when she first saw it. "Its eyes went from serious, maybe it was getting frogs -- it was focused on something," she continued. "When he saw me, he was as surprised as I was. I slowed down to almost a stop; I didn't stop because I was scared. It was almost dark, but I could see it and get a good look." Ward said the creature was 6 to 8 feet tall and covered with hair about 2 inches long. There was white around the eyes, but she did not notice a nose or ears. She said the lips were full with the texture of a dog's paw pad. Its hands were drawn up next to its body. At first, Ward only told friends and family about what she saw. She acknowledged that it took considerable time for her to decide to go public. Florida skunk ape sightings have been reported for more than 200 years, according to Scott Marlowe, co-founder of Pangea Institute in Winter Haven and instructor of an upcoming college course on cryptozoology, the study of hidden animals and the possibility of their existence. He said there have been about 75 reported sightings of the skunk ape in Florida in the past 20 years. This Southern relative of Bigfoot gets its name for the awful stench often associated with it. Ward said she could not remember an odor, but that may have been what first caught her attention. Joy Hill, a spokeswoman for the Florida Fish and Wildlife Conservation Commission, would not comment about whether she thinks the sighting was genuine but said her agency has received no reports of such creatures. Marlowe is searching the area of Ward's sighting outside Lakeland for footprints and hair that may have been snagged on a branch. He said the increasing development in Florida means man and beast will cross paths more often. "With so much encroachment, it's almost inevitable if the thing exists, we're going to find it," Marlowe said. The skunk ape makes its winter home in the Everglades, Marlowe said, but may move about seasonally. "I suspect they migrate," he added. Loren Coleman, author of the 2003 book, Bigfoot! The True Story of Apes in America, is considered the leading cryptozoologist in the world and has been tracking Bigfoot-type sightings for 45 years. He said weather events, such as hurricanes, often result in sightings. "Hurricanes and tornadoes stir up wildlife. 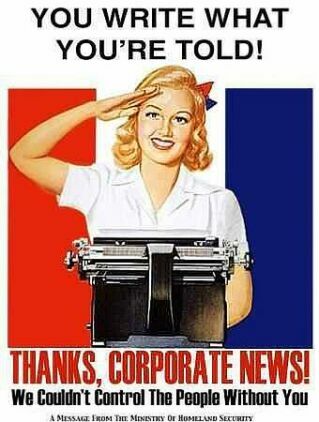 They travel to get settled," Coleman said in a telephone interview Friday. "Florida is the only subtropical state, and [there is] very great habitat for any kind of primate. It's comfortable and supportive," he said. "Even through there are population centers, people forget there's lots of wild land in-between." As far as Ward, she said she drives a little slower now so she can look around, and she keeps a camera in her vehicle. The Lakeland woman said she hopes her report does not stir up any craziness among people looking for the creature. "I have the feeling they do watch a lot," she said. "I wish I could see it again. 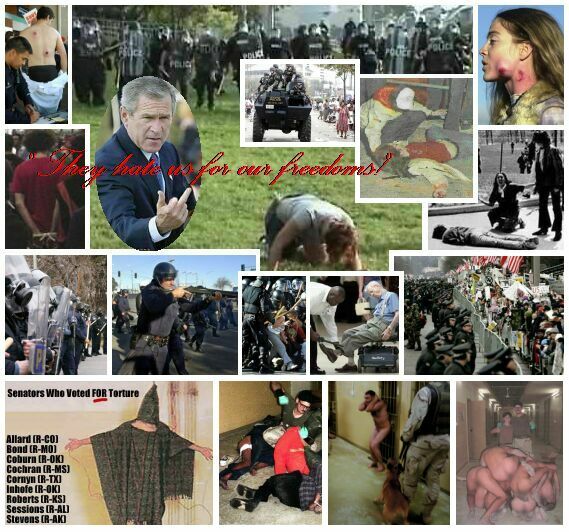 I want people to see what I saw." In Vancouver, BC, a story just aired, 5:00 pm,12-19-4, on Global TV Canada. 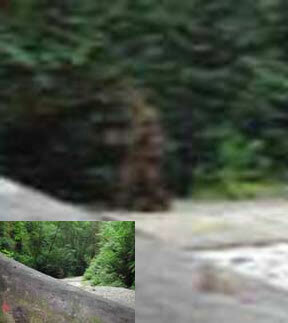 There was an interview with a woman who saw a Sasquatch on a highway on Vancouver Island. The creature stood in the middle of the road and blocked her passage. She seemed a very credible witness and explained that she was aware of the difference between this and a bear. She described the creature as being ape-like but more human. It stood 6 to 7 feet tall. The sighting lasted quite a while so she had a good look. The creature finally took off at the sound of approaching traffic. I hope you can follow up. The Almas of Central Asia. A report of a more recent sighting of live wildmen was related to Myra Shackley by Dmitri Bayanov, of the Darwin Museum in Moscow. In 1963, Ivan Ivlov, a Russian pediatrician, was traveling through the Altai Mountains in the Southern part of Mongolia. Ivlov saw several human-like creature standing on a mountain slope. They appeared to be afamily group, composed of amale, female, and child. Ivlov observed the creatures through his binoculars from a distance of half a mile until they moved out of his field of vision. His Mongolian driver also saw them and said they were common in that area. Shackley (1983, p. 91) stated: "So we are not dealing with folktales or local legends, but with an event that was recorded by a trained scientist and transmitted to the proper authorities. There is no reason to doubt Ivlov's word, partly because of his impeccable scientific reputation and partly because, although he had heard local stories about these creatures he had remained sceptical about their existence." After his encounter with the Almas family, Ivlov interviewed many Mongolian children, believing they would be more candid than adults. The children provided many additional reports about the Almas. For example, one child told Ivlov that while he and some other children were swimming in a stream, he saw a male Almas carry a child Almas across it (Shackley 1983, pp. 91-92). 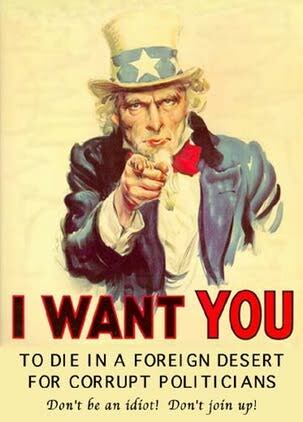 In 1980, a worker at an experimental agricultural station, operated by the Mongolian Academy of Sciences at Bulgan, encountered the dead body of a wildman: "I approached and saw a hairy corpse of a robust humanlike creature dried and half-buried by sand. I had never seen such a humanlike being before covered by camel-colour brownish-yellow short hairs and I recoiled, although in my native land in Sinkiang I had seen many dead men killed in battle .... The dead thing was not a bear or ape and at the same time it was not a man like Mongol or Kazakh or Chinese and Russian. The hairs of its head were longer than on its body" (Shackley 1983, p. 107). The Pamir mountains, lying in a remote region where the borders of Tadzhikistan, China, Kashmir, and Afghanistan meet, have been the scene of many Almas sightings. In 1925, Mikhail Stephanovitch Topilski, a major general in the Soviet army, led his unit in an assault on an anti-Soviet guerilla force hiding in a cave in the Pamirs. One of the surviving guerillas said that while in the cave he and his comrades were attacked by several apelike creatures. Topilski ordered the rubble of the cave searched, and the body of one such creature was found. Topilski reported (Shackley 1983, pp. 118-119): "At first glance I thought the body was that of an ape. It was covered with hair all over. But I knew there were no apes in the Pamirs. Also, the body itself looked very much like that of a man. We tried pulling the hair, to see if it was just a hide used for disguise, but found that it was the creature's own natural hair. We turned the body over several times on its back and its front, and measured it. Our doctor made a long and thorough inspection of the body, and it was clear that it was not a human being." 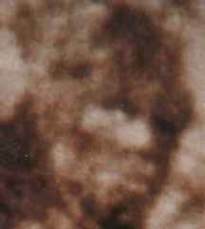 "The body," continued Topilski, "belonged to a male creature 165-170 cm [about 5-1/2 feet] tall, elderly or even old, judging by the greyish colour of the hair in several places. The chest was covered with brownish hair and the belly with greyish hair. The hair was longer but sparser on the chest and close-cropped and thick on the belly. In general the hair was very thick, without any underfur. There was least hair on the buttocks, from which fact our doctor deduced that the creature sat like a human being. There was most hair on the hips. The knees were completely bare of hair and had callous growths on them. The whole foot including the sole was quite hairless and was covered by hard brown skin. The hair got thinner near the hand, and the palms had none at all but only callous skin." Topilski added: "The colour of the face was dark, and the creature had neither beard nor moustache. The temples were bald and the back of the head was covered by thick, matted hair. The dead creature lay with its eyes open and its teeth bared. The eyes were dark and the teeth were large and even and shaped like human teeth. The forehead was slanting and the eyebrows were very powerful. The protruding jawbones made the face resemble the Mongol type of face. The nose was flat, with a deeply sunk bridge. 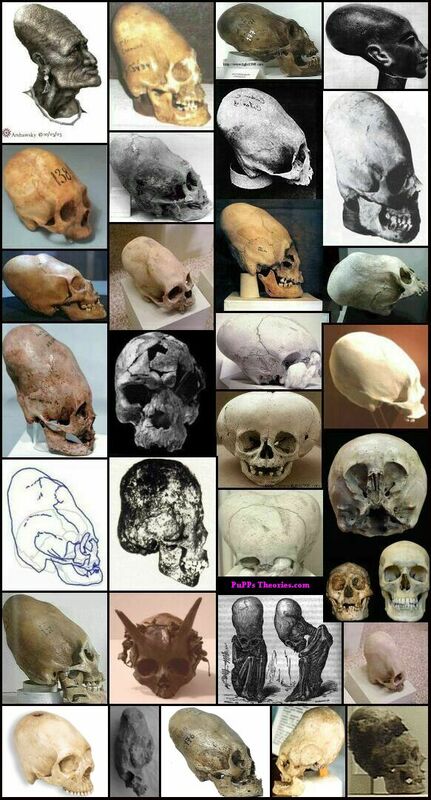 The ears were hairless and looked a little more pointed than a human being's with a longer lobe. The lower jaw was very massive. The creature had a very powerful chest and well developed muscles .... The arms were of normal length, the hands were slightly wider and the feet much wider and shorter than man's." In 1957, Alexander Georgievitch Pronin, a hydrologist at the Geographical Research Institute of Leningrad University, participated in an expedition to the Pamirs, for the purpose of mapping glaciers. On August 2, 1957, while his team was investigating the Fedchenko glacier, Pronin hiked into the valley of the Balyandkiik River. Shackley (1983, p. 120) stated: "at noon he noticed a figure standing on a rocky cliff about 500 yards above him and the same distance away. His first reaction was surprise, since this area was known to be uninhabited, and his second was that the creature was not human. It resembled a man but was very stooped. He watched the stocky figure move across the snow, keeping its feet wide apart, and he noted that its forearms were longer than a human's and it was covered with reddish grey hair." Pronin saw the creature again three days later, walking upright. Since this incident, there have been numerous wildman sightings in the Pamirs, and members of various expeditions have photographed and taken casts of footprints (Shackley 1983, pp. 122-126). We shall now consider reports about the Almas from the Caucasus region. According to testimony from villagers of Tkhina, on the Mokvi River, a female Almas was captured there during the nineteenth century, in the forests of Mt. Zaadan. For three years, she was kept imprisoned, but then became domesticated and was allowed to live in a house. She was called Zana. Shackley (1983, p. 112) stated: "Her skin was a greyish-black colour, covered with reddish hair, longer on her head than elsewhere. She was capable of inarticulate cries but never developed a language. She had a large face with big cheek bones, muzzle-like prognathous jaw and large eyebrows, big white teeth and a `fierce expression."' Eventually Zana, through sexual relations with a villager, had children. Some of Zana's grandchildren were seen by Boris Porshnev in 1964. In her account of Porshnev's investigations, Shackley (1983, p. 113) noted: "The grandchildren, Chalikoua and Taia, had darkish skin of rather negroid appearance, with very prominent chewing muscles and extra strong jaws." Porshnev also interviewed villagers who as children had been present at Zana's funeral in the 1880s. "Do not shoot it," said Selzer. Have you ever seen the talented hairy circus acrobats? A Prince George man whose greatest passion has been hunting for big game admits he's hooked on proving the existence of sasquatch. Leo Selzer, who has spent 41 years hunting in the bush around Prince George, is convinced the illusive creatures are around, and he spends as much time as he can in the bush area where he believes they live. He says he's had one pretty clear sighting and several occasions when he's convinced he was communicating with his" furry friends." In the mid- 1980s when Selzer was moose hunting in the Gregg Creek area west of the city, he did his loud moose calls that bring in the bulls during rutting season. "after a few calls I heard a response -- like someone banging on a tree about a kilometer away. I would call. The right away, bang, bang. A small black bear appeared, wandering towards the banging sounds. The bear stopped and stood up on its hind legs looking towards a tall fir tree, and then all of a sudden it hightailed in the opposite direction toward me, veered off and went over the ridge." It was then that Selzer saw a tall, dark-coloured creature step out from the cover of the fir tree into the open, and then quickly stepped behind the tree and was gone," said Selzer, noting that logged-off has little human activity. In 2000 Selzer was again hunting at Gregg Creek when, at about 400 metres, he spotted what he first thought was a large bear standing on its hind legs watching the hunters. "It was standing next to a large, broken-off fir tree and was about the same dark colour, maybe greyish around its shoulders and on its chest. Thinking it could be a grizzly, I kept a close eye on it, watching it shift its weight from one leg to the other a couple of times for about a half hour. "All of a sudden it was gone, but later I realized a bear would never stand on its hind legs for that long without getting down and back up again," said Selzer. After studying that area closely, he's concluded the creatures leave landmarks and directional signs by piling trees into X marks behind closely knit trees, and bending and shaping spindly trees into arches and shaped pointers carefully threaded through willow tops. He believes Sasquatch eat bark from trees like aspens, and has seen markings showing large fingernails and teeth were used to remove bark. He's also seen large footprints, but hasn't been fortunate to be able to photograph them fresh or complete. "One footprint, going up a grade, was pretty clear, about 13 to 14 inches long, eight inches wide at the heel, and about six inches wide at the top of the ball of the foot. There were indications of possible toe impressions about one to three inches beyond the ball of the foot." In 1994 on the Hoodoo Lakes road he could hear three individual voices give out a holler or two which was responded to by"jabbering type of language." "I thought it must be some drunken people back there on a bush road or something, but I later found out there is no road or clearing in that area." In mid-June, Selzer came across an area in the Gregg Creek, about 300 to 400 yards long, containing a series of blinds and shelters, and tepee-like frameworks he believes were built by a sasquatch. The blinds are waist to shoulder height with logs and trees pushed together to form a lean-to like structure. "The frameworks, up to 50 feet high, are made with long spindly trees intricately intertwined to form the structure., "said Selzer. Brian Vike in Houston, who reports on unidentified flying objects and such matters, has received reports from residents about sasquatch sightings in the Buck Flats area. "Two Houston women, driving up Buck Flats road, were startled recently when a large animal walked upright across the road in front of their vehicle. "The animal, described much like a sasquatch, mad long strides into the forest, but did not turn to look back at the women." He said a camping party at Silverhorne Lake reported hearing chilling screams in the night coming from around the lake, which cannot be associated with the known animals in the region. "One other sighting was reported on the Morice River Road when two people fishing witnessed a large two-legged animal on the opposite bank of a river walk slowly into the forest and disappear," said Vike. 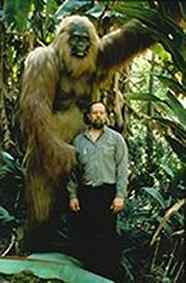 American William Dranginis, said he saw a bigfoot once - hairy, 7 feet tall, and sprinting through the woods of Virginia. The 12-second sighting changed the life of Dranginis, who outfitted a 24-foot mobile veterinary clinic as a Bigfoot Primate Research lab. Equipped with scopes, radios and a Night-Sight camera that can detect an animal in the dark at 800 yards away, he heads out at least two weekends a month. But still no second sighting for Dranginis, who would like to push legislation to protect the creatures. "They mean no harm, but they are curious, and incredibly intelligent beings." Selzer's latest reported sighting on July 20 came from a visiting couple from Saskatoon. They told Selzer that, while driving Highway 16 East at about 8 p.m. near Tabor Mountain, they saw what they first thought was a large man crossing the highway. 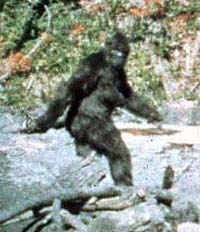 Describing the creature as about 7 1/2 feet tall covered with hair, thick barrelled shoulders and narrow waist, they said it crossed the road about 100 yards ahead of them in about three steps. The couple, who have never believed in the sasquatch theory, were so haunted by the experience they couldn't sleep. After they got home they contacted Selzer, who has added his investigation of the area to his website: http://sasquatch-pg.net. Here's an ani gif file of Pattersons 1967 footage that has been edited to stabilize the jerky action of the startled horse and its rider, the cameraman. Click link below to play 1.9 MB animated gif file. Here's an interesting report ---let's see what happens in Sept.
Rick Dyer of Forest Park, Georgia from Bigfoottracker.com claims that the Bigfoot body in his possession was accidentally found in the deep woods approximately 7 miles from a road. On the Squatchdetective.com radio show on July 28th, Dyer explained that it took 6 people 1 1/2 days to drag the 8'8", 600lbs. corpse to a vehicle. He refused to disclose the gender of the creature. Dyer also stated it was found in early June and assumes it had been dead a few days. As well, he mentioned that the Bigfoot is being stored in a 10 ft. freezer. Dyer also claimed that other 'live' Bigfoot creatures were observed in the same area where the body was found and that he has photographs. Listeners were allowed to field questions. Dyer said that at least one researcher had refused to believe his find and that the YouTube campaign was started in order to belittle other well known cryptozoologists. Ask what the creature looks like, Dyer answered that it looks 'more human than ape' and that he sought legal counsel in order to copyright photographs. He states he already has a buyer who has offered $10 million. Dyer did say that he never believed in Bigfoot and didn't research the creature before he stumbled across the body. Dyer claims that the proof and evidence of their find will start being released to the public on September 1st, 2008. The attorney handling Dyer's affairs in this case is Monroe Ferguson of Ferguson, Ferguson & Morris, P.C. of Jonesboro, Georgia. The infamous Freeman 'bigfoot' footage. 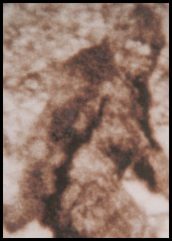 "The Matilda Bigfoot footage has finally been release by Dr. Melba Ketchum and the Erickson Project. While some are saying it looks like a shag carpet and calling it fake, most have no idea that the 19 second clip is just a part of what Adrian Erickson has decided to release publicly. 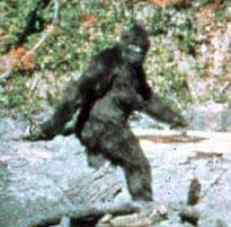 In the actual full-length video, the teenage Bigfoot actually gets up and walks up to the camera and growls. Black fangs are visible in the full video, and according to billionaire Wally Hersom and others who had the privilege to privately view it, it looks like a Wookiee from Star Wars."